North Carolina is widely respected for institutions such as the University of North Carolina at Chapel Hill and Duke University, both research-intensive and high-prestige schools. But it’s less known for a radically experimental college that was tucked away in the Appalachian mountains more than half a century ago. Just east of Asheville, Black Mountain College (BMC) was founded in 1933 and survived for 24 years until closing due to funding issues and a lack of students. But before it did, it had a strong core of teachers to attract students, attracting artists like Josef and Anni Albers from Germany after the Nazis rose to power and, in its later years, architect Buckminster Fuller and poet Charles Olson, among others. A liberal arts school, president John A. Rice emphasized the importance of the arts in every student’s education. The education it offered was extremely atypical. Black Mountain didn’t have a standard grading system or set of classes; professors and students determined the curriculum together. It was unaccredited. It didn’t have a board of directors. During its existence, BMC only graduated about 60 students of the 1,200 who attended. Yet, despite this lack of standardization (or because of it), its students enrolled in graduate school at elite institutions and looked back fondly upon their time at Black Mountain. That myth serves as something unimaginable in today’s higher education environment. 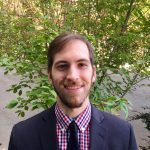 Higher ed has many roadblocks that prevent any sort of Black Mountain 2.0: Many students think of college as the first credential necessary for a good job; most colleges are too bureaucratized and regulated to allow such campus experimentation; and campus officials are too resistant to change for a decentralized education approach to take hold. Though various college programs and academics have been influenced by Black Mountain College, it’s questionable whether any college working within traditional higher ed today could recreate something like BMC. While chaotic and sometimes questionable in its approach, the disappearance of experimental colleges like Black Mountain has left American higher education more uniform and rigid. Such oddball schools would be regulated out of existence today; the curriculum would be seen as too individualized or low-quality because it doesn’t meet the requirements of an accreditor. “We have basic education plans, we have five-year strategies, we have long-term planning, we have tenure, we have accreditation, we have so many checks and balances, we have all these things that are antithetical to Black Mountain College,” Bathanti said. A college today can’t operate without a master plan directing it. Such a school would also have no chance of getting approved for federal aid. Accessing federal aid wasn’t a problem in the 1940s, though. During its existence, veteran students could pay for BMC with their GI Bill benefits. Rules about federal student aid were much less strict then. Almost everyone there at this period seemed a poster-child of some sort, representing a fragment of our culture—the closet gay, the civil rights activist, the communist, the avant- garde painter, the urgent truth-seeker, the parent-escaper. My poster was being about the only student from the West Coast (most were from the Northeast, particularly New York City); about being the only one without parents and siblings who had attended college (most students, but certainly not all, were from a well-educated upper middle class, or intellectual elite class). The independence and drive that BMC students had is rarely found today, partially because colleges do not encourage such self-driven learning. Students arrive on campus and the college tells them what classes to take, or what classes they can choose from to fulfill a major’s requirements. The students today who can avoid being shepherded have to jump through hoops to do so, or belong to an honors college or honors program that offers more flexibility. Academic independence is a privilege for a few, not an expectation for all. If Black Mountain didn’t give students a diploma, it made up for this oversight by giving them a community and a network that was important for their success. Those connections might explain why students were so loyal to the institution in a way that’s hard for most colleges to develop. Students will sacrifice for and invest in a community—but they won’t sacrifice for a bureaucracy or a job training program. If the campus climate on self-styled progressive institutions like Evergreen State College is any indication, an experimental progressive college today may become a threat to free expression and academic inquiry. Instead of an antidote to a corporatized and uniform college education, a similar approach might result in the suppression of individualized thought and art. A 1952 college bulletin that Scheffler noted, for instance, stated, “The way of handling facts—and himself amid the facts—is more important than the facts themselves.” A loyalty to a political conception of “progress” can undermine the value of an experimental approach today. 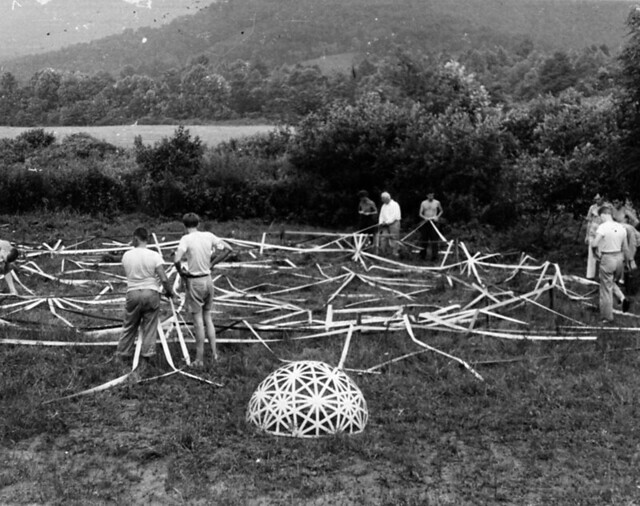 Black Mountain College may have been lucky to exist in the 1950s that allowed it to avoid present concerns and preserve its mythical status. Reflecting on Black Mountain, Jonathan Palmer of Mendocino College and Maria Trombetta of San Francisco State University asked, “Does the educational structure of the college system impede our learning?” College access has expanded greatly since Black Mountain College closed its doors. But so has the influence of state and federal governments. The direct and indirect government funds have also brought standards, regulations, and a bevy of strings attached to the money. Many students can now get a rigorous college education at an affordable price, and employers don’t question the quality of their diplomas. But Black Mountain College serves as a reminder that American higher ed has also lost a certain freewheeling, experimental approach that served students who didn’t find a place in the traditional system. Anthony Hennen is writer/editor at the James G. Martin Center for Academic Renewal.